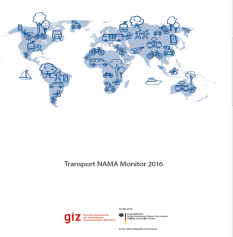 The 2016 Transport NAMA Monitor presents the latest Trends and developments of Transport NAMAs around the world. Environmental and climate protection in the transport sector has an immense value; it reduces emissions, creates new jobs, minimises health risks and noise, decreases energy costs and makes transport safer. 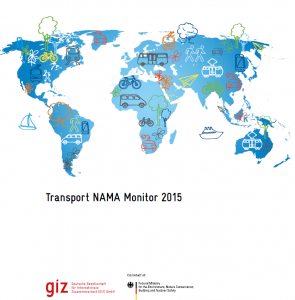 The Transport NAMA Monitor presents the latest Trends and developments of transport NAMAs around the world. This report has been jointly developed by the Bridging the Gap Initiative (BtG) and the Partnership on Sustainable, Low Carbon Transport (SLoCaT). 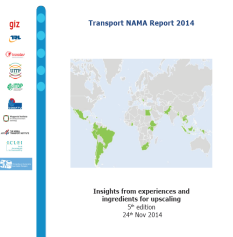 This report briefly provides recommendations on how to contribute to increasing the scale of engagement with transport NAMAs, the impact of these NAMAs, and the time taken to progress from NAMA identification to implementation.